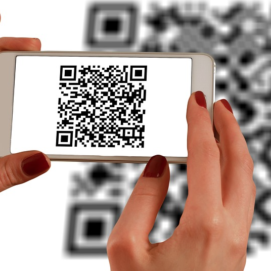 QR codes have emerged as a popular tool to facilitate mobile payments, but their potential goes beyond enabling transactions and should be tapped to help retailers build brand equity. In fact, the matrix barcode and other visual-recognition technology can provide a way for businesses to bridge the gap between offline and online realms, according to Marcus Tan, CEO of AIQ, a Singapore startup that develops artificial intelligence (AI) software capable of mining images and visual data. 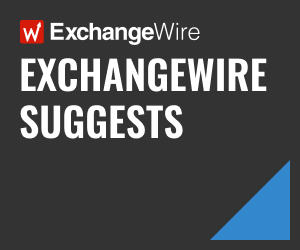 Founded in 2014, the vendor touts the use of its products to better optimise marketing campaigns, personalise customer engagement, and detect fraud. For instance, instead of using a QR code, consumers can capture the retailer’s logo with their mobile phones and access information about the brand and its products. Customers also can be redirected to the retailer’s website or place an order for that product. Compared to a QR code that offers little visual engagement, this would provide better brand equity for the business owner, Tan said. He added that the technology could be further applied to magazines or billboards, so publishers would be able to offer more interactive advertisements, enabling consumers to capture images to access a page with information about the brand. He explained that AIQ chose not to overlay its platform with other emerging technologies, such as virtual reality or augmented reality, as these would take up too much bandwidth, which could be challenging in markets such as Indonesia where mobile consumers might not be willing to pay for data. With increasing focus on offline-to-online (O2O) customer experience, he noted that visual-recognition technology helps retailers plug the gap between the two realms. It enables brands to not only interact with consumers offline, but also capture customer data offline, so this could be used to improve their online service delivery, he said. “From a retail perspective, it’s helping brick-and-mortar retailers that are struggling to compete with online players capture offline data to build online customer profiles”, he added. For example, AIQ currently is working with a shampoo manufacturer on an app that lets consumers hover their phone over their scalp in order to determine the type of shampoo that best suits their individual condition. Such concepts can be further applied, for instance to assess skin ailments such as eczema, so consumers can hold their phone over their skin to determine the severity of their condition. The vendor’s AI and machine-learning platform scoured image data from the web, including medical sites, to analyse and define different scalp and skin conditions. Between 500 and 800 images were analysed per category, such as oily scalp, for an accuracy rate of 80-85%. AIQ also developed a visual search engine that enabled consumers to point their mobile phone camera at a dress, or an image of a dress, to access a list of options with similar designs and where to buy them. Only product options from AIQ’s partner retail brands would be shown on the list, Tan said, noting that the engine could be applied to other product categories such as furniture. In June, the startup launched a Brand Scanner app that recognised 15,000 brand logos, directing consumers to the brand’s website when they captured its logo via their mobile phone. AIQ aimed to approach brands whose logos had high levels of user interaction via the app in the hopes of bringing them in as clients and to help improve their engagement with consumers, Tan said. In 2015, it developed a proof-of-concept for footwear maker Charles & Keith in Malaysia, letting customers scan displays within the brand’s physical stores, after which they were prompted to share the brand’s Facebook page. Those who did received e-vouchers. The pilot campaign clocked more than 11,930 scans, as well as distributed 2,983 vouchers, collecting 2,983 customer email addresses in the process. It also worked with the producers at TV talent show, America’s Got Talent, to interact with consumers in Southeast Asia through “second screen content”. By downloading its app, viewers could point their phones at the TV screen whilst the show was being aired to access prizes, exclusive content, quizzes, and view fashion apparel similar to what contestants wore on the show. The campaign ran over nine episodes and garnered 12,331 interactions, with prizes accounting for 44% of such viewer engagement. Another 42% did so to access information about the clothes that show contestants wore. 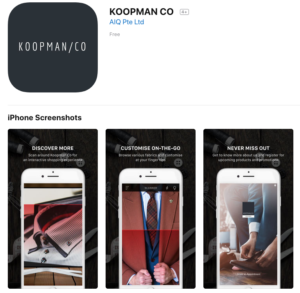 AIQ this month launched an app for custom menswear brand, Koopman/Co, in Singapore where customers would be able to scan their preferred collar and cuff options in-store and access more information about the styles on display. The app also would provide consumers with a price estimate of the suit they put together by scanning the different style options. 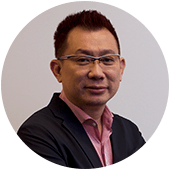 Tan said: “The O2O landscape is an omnichannel environment and you’ll need multiple touchpoints to engage customers, whether it’s physical, online, or via social media. The challenge for retailers in Asia-Pacific is that they need a strategy to engage customers on both online and offline channels.